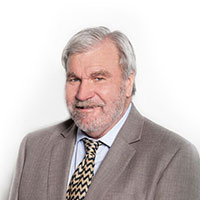 Peter has enjoyed a long and very successful career in fast-moving consumer goods (FMCG), holding senior roles with SC Johnson, Reckitt & Coleman, Ampol/Caltex and Arnott’s and was CEO of AGB McNair and Schwarzkopf. He has also run his own strategic consultancy business for six years with clients including Qantas, Telstra, George Patterson Bates, John Singleton Advertising and McDonald’s Australia. In 2003, he became the CEO of McDonald’s Australia. 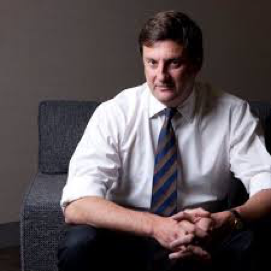 Peter is Chairman of Southern Cross Media Group Limited and Ingham's Chicken, and was previously Chairman of Mantra Group Holdings Limited, Pacific Brands Limited, Nine Entertainment Co and NEC Holdings Pty Limited and a Director of Insurance Australia Group Limited. Melanie has extensive financial and professional services experience in both Executive and non-Executive roles in a wide range of industries and has had significant Board-level exposure to international operations and global businesses. During the last 10 years, Melanie has held non-Executive Directorship roles at Aevum Limited, Hydro Tasmania, Rhodium Asset Solutions, Crowe Horwath Australasia Limited, Club Assist Limited, Ardent Leisure Limited and Pepper Group Limited. 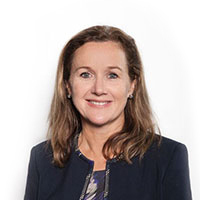 Melanie has also held Senior Executive roles with Deutsche Bank (Director) and Bankers Trust Australia (Vice President) and was CEO and an Executive Director of NRMA Investments until March 2015. Melanie is currently a Non-Executive Director of, Southern Cross Media Group Limited, Challenger Limited and Challenger Life Company Limited. Liz has extensive experience in growing businesses organically and by acquisition, governance of organisations in change and with expertise in strategy, marketing & digital commerce. She applies customer-centred leadership to her portfolio of ASX listed, private, local government & not-for-profit Director roles in the competitive tourism, travel, hospitality, workforce & tech sectors. Liz previously held C-suite executive roles in high growth, disruptive consumer businesses in the UK, Europe & Australia: as Business Development Director of easyJet & Chief Commercial Officer of Virgin Australia. 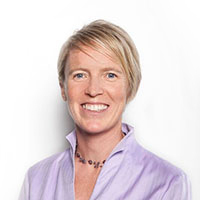 Liz’s current Directorships include North Queensland Airports (Cairns & Mackay), ASX-listed People Infrastructure, Brisbane Marketing and Triathlon Australia. Andrew has been described as a serial entrepreneur, being involved in the establishment, design, funding, commercialisation and ultimate sale (both trade sale and IPO) of a number of businesses in a diverse range of industries. Until recently he was CEO of SuperIQ, the largest administrator of Self Managed Super Funds in Australia. Andrew has sat on a wide range of ATO and treasury committees, including Simple Super Legislation committee, Regulations review for ATO, Henry and Cooper Review industry panel and a range of Senate select committees. Andrew has interests that extend through agriculture and the financial technology industry and continues to be committed to assisting firms to grow, develop and commercialise their activities. He currently sits on the board of Guild Trustee Services, Landcare NSW and is Chairman of Gold Cross Products & Services. 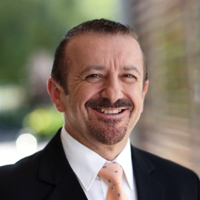 Henry most recently served as Vice President – Chief Information Officer of McDonald’s Australasia since 2007, where he was responsible for IT strategy and implementation for the McDonald’s business across Australia, New Zealand and the Pacific Islands. Henry has held NED roles on the National Board of Ronald McDonald Charities, Craveable Brands, Slikr, AirService and Advisory Board roles with numerous other companies. Prior to McDonald’s, Henry held Senior Executive positions in Norske Skog, FletcherChallenge Paper, Honeywell Ltd and AGL. His experience across these markets have included leading Strategic Planning, Technology Strategy and Development, Security, Manufacturing operations and Governance and Quality Management. In addition to an Honours Degree in Chemical Engineering, Henry has graduated in Management Studies focused on Global Strategy execution from the IMD School at Lausanne, Switzerland and is a member and graduate of the Australian Institute of Company Directors.